When my mom found herself suddenly single at 45, she nearly took a year away from her medical practice in Boston to move to Paris with my little sister. She wanted to sip coffees in the late morning sun and read French poetry and eat confit de canard for dinner and take French classes and learn Serge Gainsbourg songs on the guitar… Her dream revolved around a small top-floor apartment on the Ile Saint Louis with a tiny balcony overlooking the Seine – the kind of balcony you see in a Sempé drawing of Paris. Life got in the way and she never made that trip – we have often wondered how all of our lives would have been different if she had. Almost anyone with a long love for Paris can tell you as much about the apartment they would live in as they can about the life they would lead if they could live here. The sweeping views from Montmartre, beamed ceilings in the Marais, herringbone wood floors and crown moldings in a classic Haussmannian building, maybe a péniche on the Seine: there is a different Paris home for everyone. And thankfully for that, since when you are looking for a property in Paris it already feels like there are a million people looking for the same place you are. But then, there is nothing like the moment when you finally find your place. If you can’t live in Paris, the next best thing is to own that dream apartment as a pied à terre. But it’s not hard to imagine what happens once the dream collides head on with battle of the search : surly real estate agents answer your queries in rapid-fire French, if they answer at all. You arrive to a showing, only to find that it is already sold after you’ve trekked across town to see it. The apartments you do manage to see are drastically different from the photos you saw online (how did they make that closet look like a bedroom???). You found a place with great bones but it needs a serious face-lift… How do you get from here to there? The key is to stay focused and determined – with a sprinkling of perseverance and nerves of steel. Or maybe you’ll just get lucky. 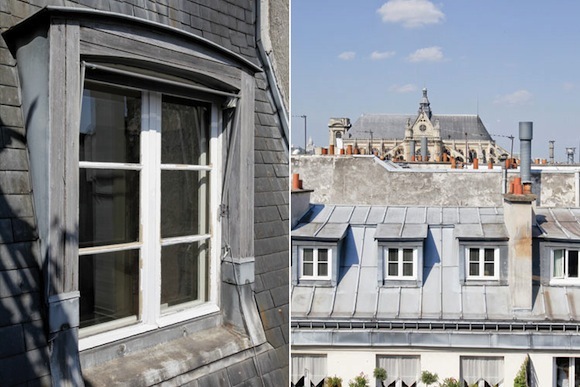 Twenty years later, almost to the day, my mom became a part owner of a newly redone fractional apartment in the Marais: a two-bed, two-bath in a 150 year old building, with a terrace on a quiet, private courtyard shared with the oldest synagogue in the city. She spends 5 weeks of every year in Paris. The shared ownership helps make it affordable. When the dream meets reality, two decades and a little creative thinking can go a long way to almost having it all. Miranda’s company, Paris Property Finders. Let her know you found her on HiP Paris! Written by Miranda Bothe for the HiP Paris Blog. 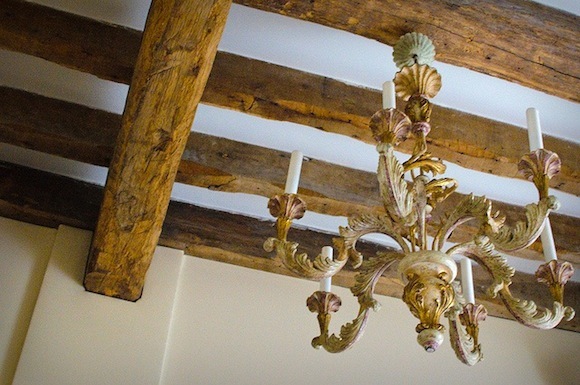 Looking for a fabulous vacation rental in Paris, Provence, or Tuscany? Check out Haven in Paris. The pics are all amazing. You introduce good places for those who look to buy properties. Good work. Oh such beautiful furniture, instantly makes me want to go to Paris! Thank you so much for the resources. It’s so hard to find good leads and sources when it comes to apartment-hunting. Merci! You know, right, that even if someone had no interest in moving to Paris they will once they see this? ‘Tis a dream. One I must make happen in the next decade. One that *definitely* includes herringbone floors. I wish something could be written for those of us in our twenties who want to live in Paris! I want to move in a year and I really don’t even know where to start with visas and renting apartments. 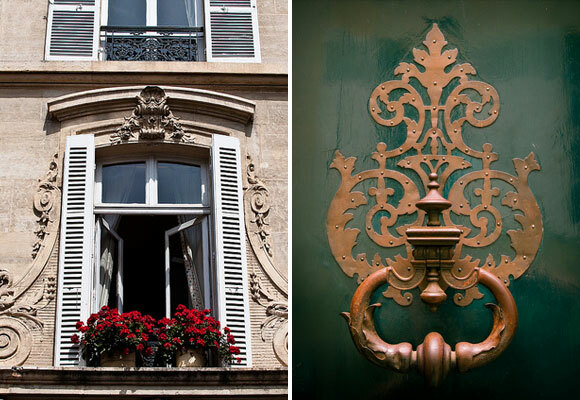 I love this article, I wish I could live in the Marais! Thank you! I feel one step closer to my dream come true. A bientôt Paris!